Sister murdered, best friend dead, married to the patron saint of death, Santa Muerte. Necromancer Eric Carter's return to Los Angeles hasn't gone well, and it's about to get even worse. His link to the Aztec death goddess is changing his powers, changing him, and he's not sure how far it will go. He's starting to question his own sanity, wonder if he's losing his mind. No mean feat for a guy who talks to the dead on a regular basis. While searching for a way to break Santa Muerte's hold over him, Carter finds himself the target of a psychopath who can steal anyone's form, powers, and memories. Identity theft is one thing, but this guy does it by killing his victims and wearing their skins like a suit. He can be anyone. He can be anywhere. Now Carter has to change the game -- go from hunted to hunter. 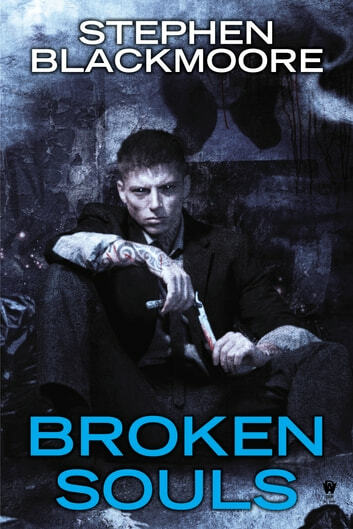 All he has for help is a Skid Row bruja and a ghost who's either his dead friend Alex or the manifestation of Carter's own guilt-fueled psychotic break. He's hoping that's a good thing. I thought this was a nice follow up to Dead Things. The ending was a bit of a let down but the set up for the next installment was awesome. A great follow up to an incredible book. 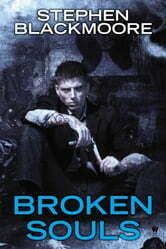 The twists and turns in Broken Souls keeps you guessing until the end. It didn't have the same gravitas or gritty feeling of Dead Things, but definitely left me wanting to hear more about Eric Carter and his struggles with death and dying.